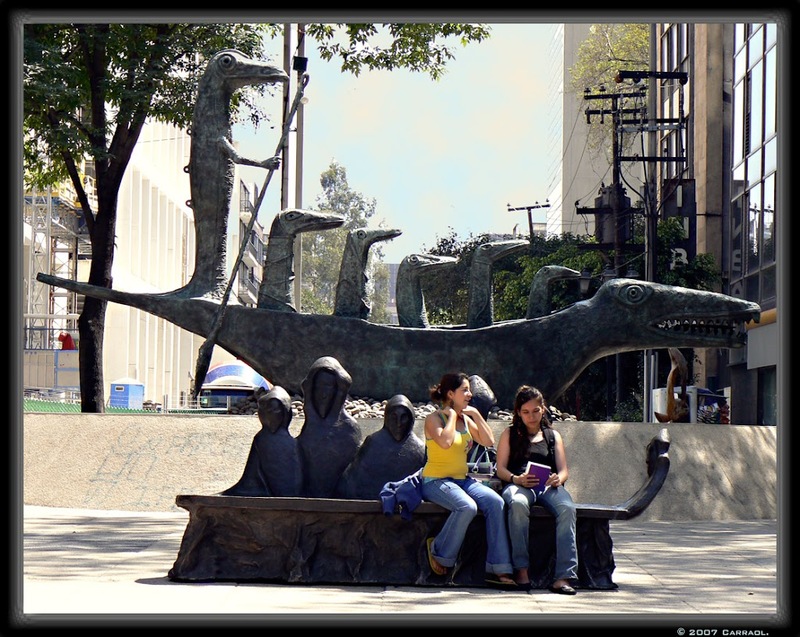 Two works by the greatest surrealistic painter & sculptor, Leonora Carrington: Crocodile Fountain and the bench "There's no place anymore" [Ya no hay lugar]. Very nice framing! And what a fun sculpture.